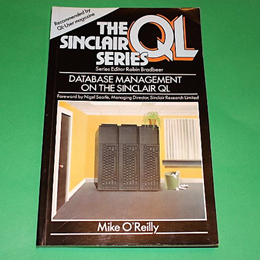 A practical introduction to using "Arcgive", the database program supplied with the QL. Basic concepts and terminology are explained and the reader is guided through all the stages to create and maintain a computer database. There is strong emphasis on the design of user-friendly systems and procedures that can be used in any database. A 192 page paperback in very good condition.